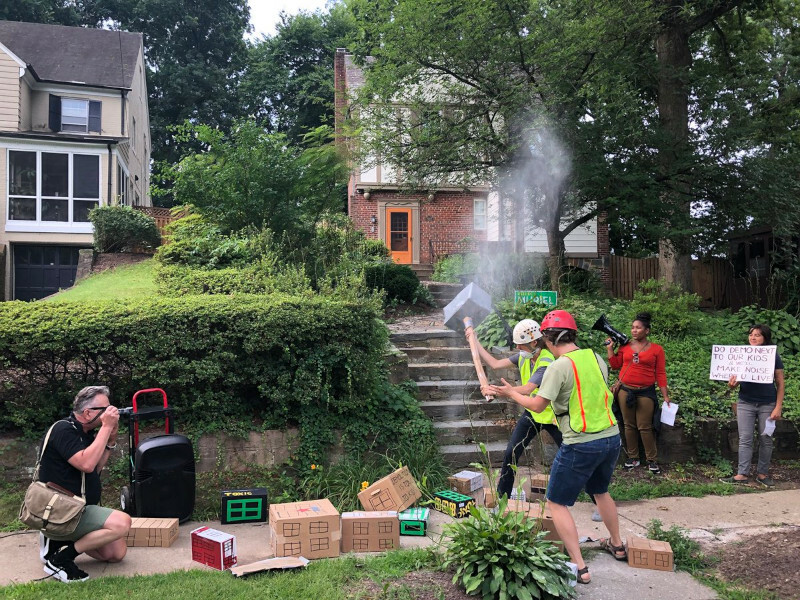 On the 30th of July, supporters of homeless familes living in the DC General shelter showed up in front of the Mayor's home to protest plans to demolish parts of the building before homeless families have moved out of other parts. Demolition can expose children living there to lead dust and other toxins. Apparently the Mayor wants to offer the site to Amazon for their HQ2 project as quickly as possible.